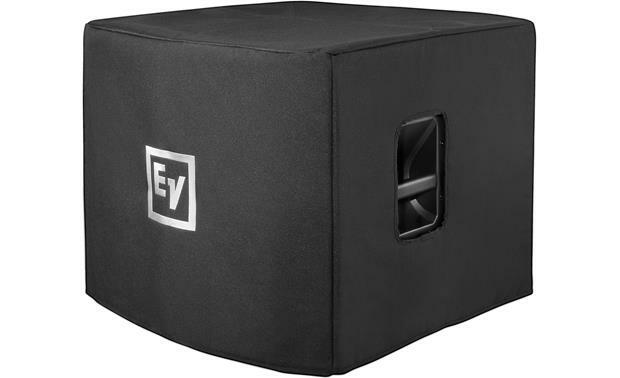 Whether it's on a stage or a dance floor, EV's EKX-18SP powered subwoofer will deliver the bass that gets people up dancing. The 18" sub can pound out up to 134 dB, thanks to its 1300-watt Class D amplifier. The ported wooden enclosure helps keep bass notes sounding clear and mellow, never out of control. And if you're on the crew, you and your back will appreciate this subwoofer's light weight and compact size. The EKX-18SP features EV's QuickSmart DSP controlled by a single knob and LCD indicator. You can choose between program mode presets, adjusting the sub's EQ contour for recordings, live bands, or EDM. A low-pass filter lets you blend the sub's sound with your full-range speakers by selecting a crossover frequency or a matching EV PA speaker like the EKX-12P or EKX-15P You can store and recall up to five settings. A limiter protects the components against damage due to overdriving, indicating "CLIP" and then "LIMIT" to tell you to turn something down. Ever play a room where the bass rumble made it hard to hear and even caused feedback? 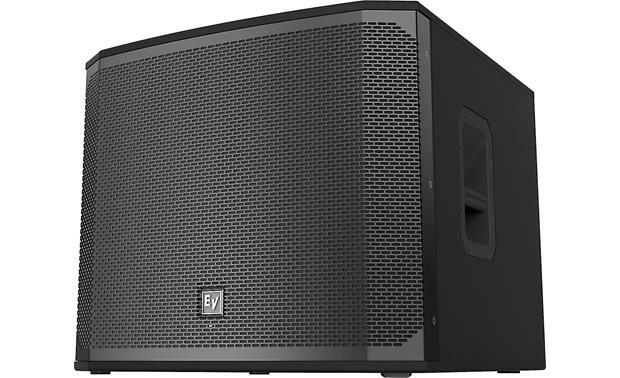 You can set up two EKX-18SPs, one on top of the other, with the bottom sub facing the stage or DJ booth, set in "Cardioid" mode, and the top sub facing the opposite direction. In this configuration, there's up to 35 dB reduction in the bass sound level onstage, clearing up the sound for the performers, while the audience enjoys the extra bass the second sub brings. 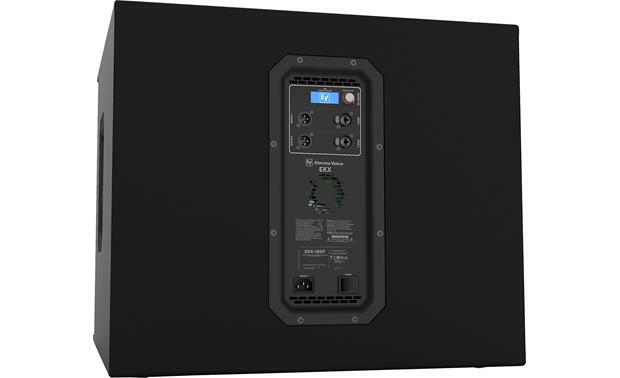 1300W Class-D Amplifier: The Electro-Voice EKX-18SP utilizes a 1300W (Peak) Class-D high-efficiency amplifier for high-power output (up to 134 dB SPL). 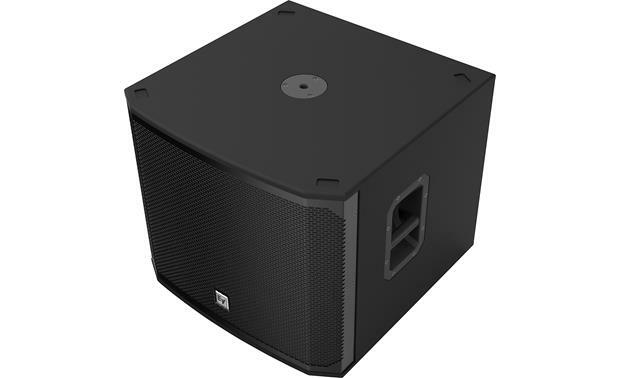 18" Woofer w/ Slot Port: The EKX-18SP houses a single front-firing 18" long excursion woofer for deep, impactful bass. A large front-firing slot port helps deliver low distortion and excellent bass extension. QuickSmartDSP: QuickSmartDSP allows easy setup via thre application presets (Music, Live, Club); variable sub crossover (80, 100, 120, 180Hz); location modes (Normal, Cardioid); five user-programmable presets (store & recall settings); and volume level control. Cardioid Technology: When multiple subs are stacked together (at least two, one facing front, one facing rear), choose "Cardioid" in the QuickSmartDSP menu on the rear-facing sub to reduce bass output on stage at the rear of the array by up to 30 dB. No additional processing is required. The benefits are tighter-sounding low end, feedback prevention, reduction of on-stage volume and vibration, and fewer noise complaints. Inputs & Outputs: The Electro-Voice EKX-18SP is outfitted with two XLR/TRS combo inputs and two XLR outputs for easy system configuration, flexibility, and expansion. Rugged & Portable Enclosure: The EKX-18SP's enclosure features stylish-yet-rugged 15mm plywood construction with a rubber polymer-based coating that provides the ultimate in durability during transport. 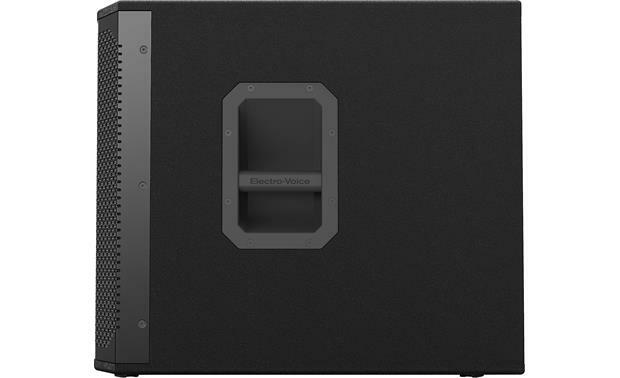 Mounting Options: The Electro-Voice EKX-18SP can simply be placed on the floor of the stage. A top-mounted M20 insert allows you to pole mount a loudspeaker on top of the powered sub. Pole-mount sold separately. Intelligent Thermal Management: The EKX-18SP's digital amplifier incorporates intelligent thermal management (with a variable-speed fan controlled by multiple onboard sensors) which ensures superior performance and reliability in demanding environmental conditions.